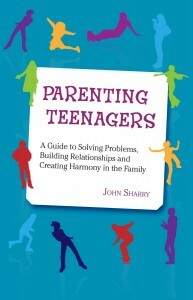 Advocating a balanced approach to parenting, Parenting Teenagers by John Sharry sets out a step-by-step guide that shows you how to stay supportively involved in your teenagers’ lives, while also setting rules and teaching responsibility. Emphasising a positive approach that builds on your strengths as a parent, this book will not only help you solve discipline problems and reduce conflict, but also have more satisfying and enjoyable relationships with your teenagers. Drawing on his popular and influential columns in The Irish Times, the book now contains an extensive question and answer section addressing the many concerns for parents of teenagers in the modern world, such as study and motivation, technology and cyberbullying, relationships and sexuality, depression and suicide; as well as dealing with drugs, alcohol and many other topics.